In this inaugural lecture, Professor Higate draws on two decades of work to critically consider British armed forces recruiting campaigns in modern times. 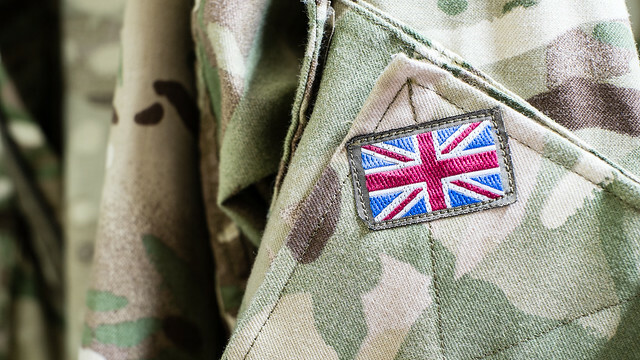 This inaugural lecture critically interrogates the ways in which contemporary British armed forces recruitment campaigns are presented and framed. In particular, the lecture focuses on the clever elision of questions of violence that these campaigns perform. The broader argument will be that these appealing recruitment strategies lull the target audience into a false sense of security through invoking the superiority of British values and their celebration of ‘diversity’ and ‘tolerance’. In actuality these values depend on the creation (and destruction) of an enemy other, which is always already obscured for this tolerant and diverse image of Britain to flourish at home. This lecture is part of the Faculty of Humanities and Social Sciences inaugural lecture series for 2018-19 and will be introduced by Professor Peter Lambert, Pro Vice Chancellor for Learning & Teaching at the University of Bath. The lecture will be followed by a drinks reception in the 5 West, Level 2 foyer. Paul Higate is Professor in Conflict & Security in the Department of Politics, Languages & International Studies and has worked on the gendered culture of the military in contexts including United Nations and NATO peacekeeping missions and private military and security companies. He is editor of Military Masculinities: Identity and the State (2003, Greenwood, Praeger) and over 40 academic articles and book chapters that, most recently, have contributed to the field of critical military studies.